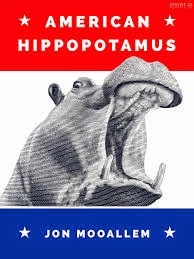 American Hippopotamus by Jon Mooallem was an entertaining Kindle single (estimated by Amazon at 71 printed pages) about the seemingly fictional effort at the start of the 20th century to import hippos to live in the American South and become a cattle substitute. The story has been optioned to be made into a film and features the larger than life characters of Frederick Russell Burnham, the inspiration for Indiana Jones and model for the Boy Scouts, and Fritz Duquesne, a spy and constant schemer. The story was written about in a Q&A with Mooallem for Wired and as a Kindle single, it's definitely a short read, but an interesting and true one nonetheless.